● Aric Almirola started seventh and finished Stage 1 in the 32nd position. ● Three laps into the event, Almirola spun after contact with a competitor and received damage to the right-rear of the Go Bowling Ford. ● The spin brought the caution out, and Almirola visited pit road for repairs. He restarted 36th on lap five. ● The remainder of the stage ran under the green flag, and Almirola completed it in 32nd. ● Almirola pitted before the start of Stage 2 for more damage repairs, fuel and four tires. ● Almirola began Stage 2 in 32nd and completed it in 24th. ● The entire length of Stage 2 was run under the green flag, and Almirola worked his way forward in the damaged No. 10 Go Bowling Ford to gain six positions. 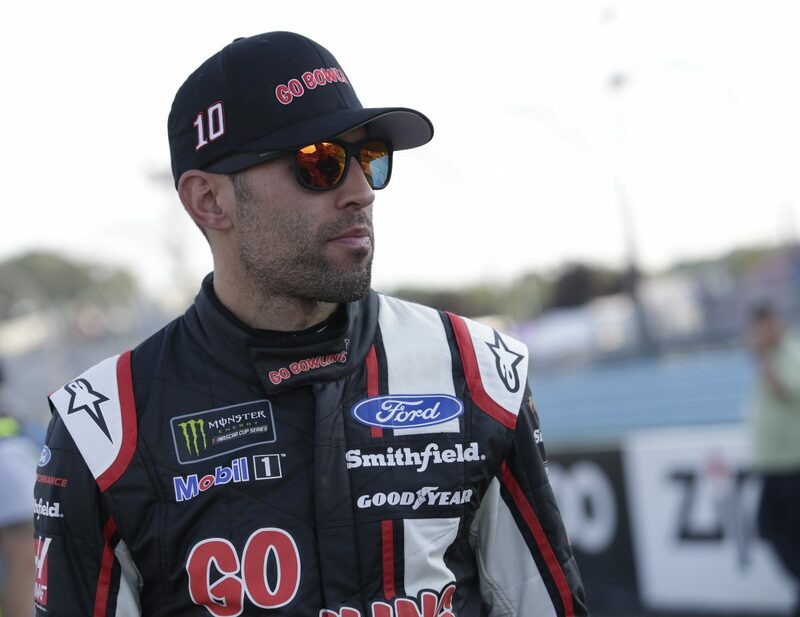 ● Before the start of the final stage, Almirola pitted for fuel, four tires and adjustments to help with Ford’s loose-handling condition up through the esses. ● Almirola started the final stage in the 23rd position and ended it 22nd. ● Almirola pitted on lap 55 for fuel and four tires during the fourth caution of the race. Unfortunately, the No. 10 team received a penalty because a pit crew member was over the wall too soon. ● He restarted 27th on lap 58, and on lap 61 he was up to the 24th spot. ● The remainder of the race went caution free, and Almirola finished 22nd. ● Chase Elliott won the Go Bowling at The Glen to score his first career Cup Series victory. His margin of victory over second-place Martin Truex Jr. was 7.560 seconds. ● There were four caution periods for a total of 11 laps. ● Twenty-four of the 37 drivers in the Go Bowling at The Glen finished on the lead lap.